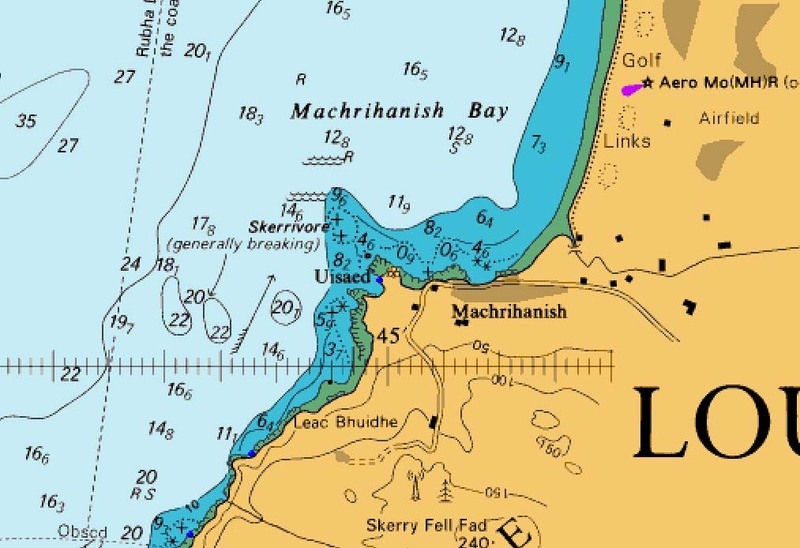 Eventually we reached the end of the relentless line of cliffs and headlands that characterise the Mull of Kintyre and we arrived at the extensive reef system of Skerrivore. 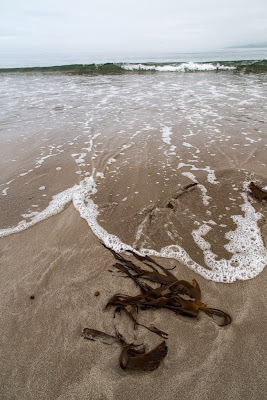 The surf was breaking heavily on the reef, the north going tide was running strongly and we could see a series of overfalls extending to the north. 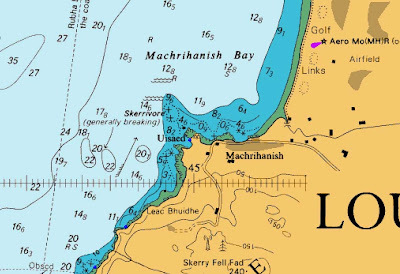 We were tired and rather in need of a visit to the Machrihanish loo, given our early start and not landing for 24km and so we cut between Skerrivore and the mainland..
...to land at Macrihanish. 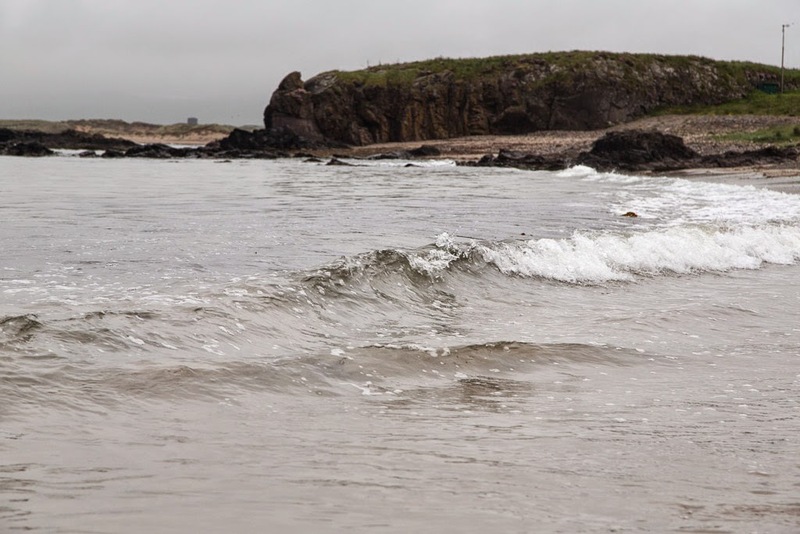 One of the angry birders jumped in his car and followed us round the coast, stopping in each layby to observe our plumage through his binoculars. Then a police car roared up from the direction of Campbeltown. It slowed as it passed us and the two officers gave us a careful look before it headed off in the direction of the bird hut where it spent about 20 minutes. It then sped back to Campbeltown without the officers giving us a second glance. 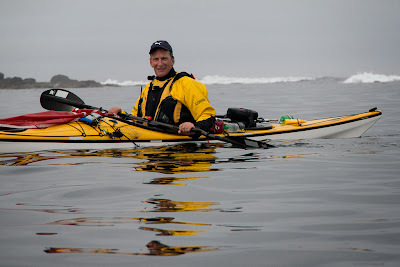 Not surprisingly it did not stop, we had not broken any laws, maritime or land. 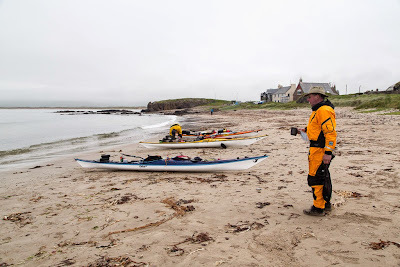 We had originally intended camping at the excellent Macrihanish camp site and having a meal at the Old Clubhouse pub but we had no wish to exchange further pleasantries with these three angry birders. So after a quick luncheon on the beach we took our money elsewhere. Of course the vast majority of Kintyre ornithologists would never dream of greeting visitors with air horns! 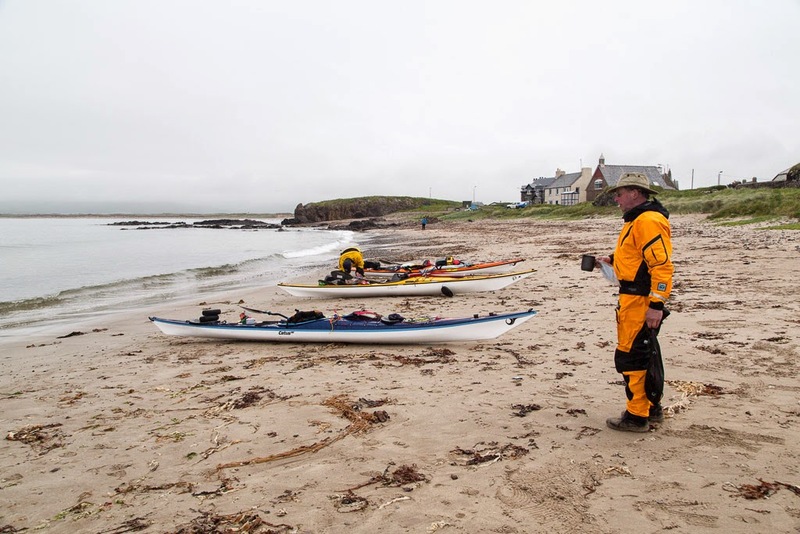 We relaunched through the small Machrihanish surf (in my case with some difficulty given both a sore knee and a sore shoulder) and set course for the fair isle of Cara.